Following are local sports results from the May 1, 2013, edition of The Advance. For the full stories and individual stats, please see the May 1 Sports pages. 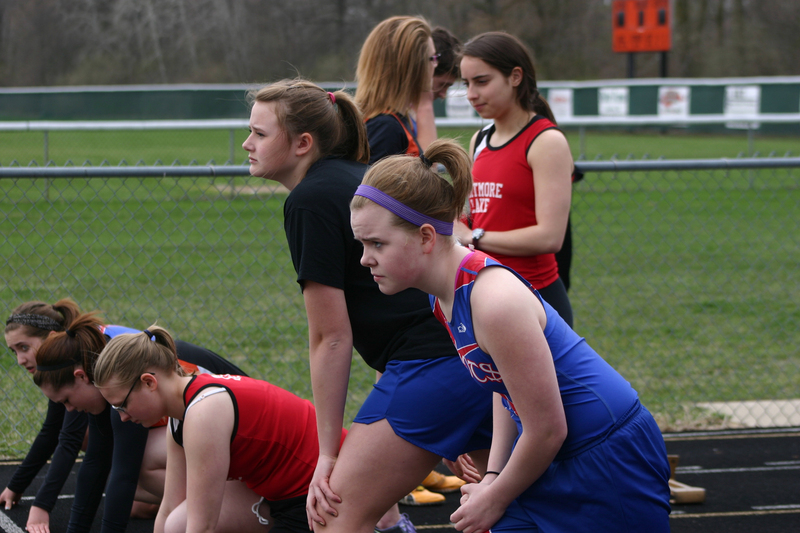 Copyright 2013, River Raisin Publications, Inc.
Local women’s track competitors shone at the Addison Relays last Friday. The Whiteford women’s team placed third overall. Blissfield was fourth and Britton Deerfield placed seventh out of 11 teams. The Blissfield varsity golf squad shot its best team total of the year at the LCAA Jamboree at Deme Acres on April 22. The Royals took 7th place with a team score of 172. Dundee took the top spot with 160, followed by Erie Mason with 163 and Ida with 165. The Blissfield varsity softball team went 2-1 last week. The Lady Royals dropped the first game of a double-header at home against Columbia Central 3-2 before heavy rains canceled the second game. Blissfield bounced back Friday by sweeping Addison at home 10-1 and 4-3 in a double-header. The Blissfield women’s track team stormed over the visiting Columbia Central Golden Eagles April 23 before high winds and heavy rains brought the meet to an early close. The Lady Royals clipped the Golden Eagles 66-7 in the contest. The Blissfield varsity baseball team had an up-and-down week, as the Royals triumphed over Columbia Central 2-1 April 23 before dropping a double-header 6-5 and 10-0 to Riverview Friday night. The Blissfield varsity women’s soccer team split a pair of games last week, blasting Onsted 7-2 before falling to Manchester on a duet of late goals 5-3. The Lady Royals were led by two hat tricks from Corrine Domschot and Emily Loar. Domschot found the opposing net for three goals against Onsted while Loar had the golden foot with three goals against Manchester. The Britton Deerfield men’s track team placed fourth at the Addison Relays Friday afternoon. The Patriots scored 73 points in a field of 11 teams. Only nine points separated them from the second-place team. The Lady Patriots softball team came up short in three games last week, losing to Webberville 9-5, Dansville 11-1 and Madison 15-3. Whiteford women’s track came up short against two of the Tri-County Conference mainstays. The Bobcats lost to Sand Creek 107-30 and Madison 93-43 in a double-dual meet April 23. The Whiteford Bobcat men’s track team competed against the two TCC power houses on a rainy, gloomy Tuesday last week where their sprinters stood out. Whiteford as a team lost to both Madison and Sand Creek with identical scores of 118-18. Some solid Bobcats bats propelled the Whiteford varsity softball team to an impressive 10-1 win over Sand Creek on Friday. The Whiteford varsity softball team split a double-header with Madison April 22 Whiteford took the first game 6-4. Madison won the second game 8-6 in what was considered a non-league contest.